When Sarah Winchester’s husband died, she inherited millions from the family business: the manufacture of the famous Winchester Rifle. A medium reportedly told Sarah that she would be haunted by the victims of that rifle unless she used her fortune to build a house, and never stop building. That’s exactly what she did. 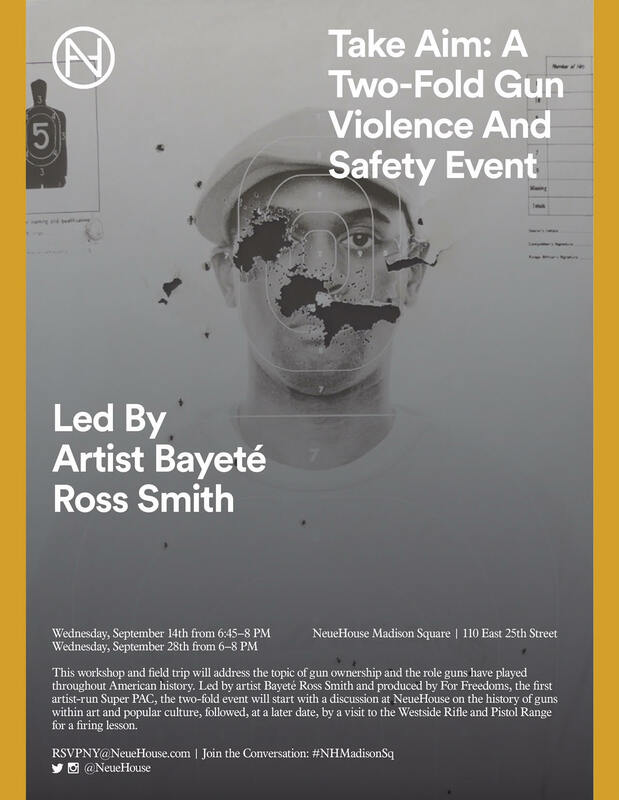 I was delighted to participate in artist Bayete Ross Smith’s two-part, interactive gun event in NYC. A Connecticut judge has ruled that the families of the Sandy Hook elementary school mass shooting can gather facts to develop a civil action against Remington, the parent company for the Bushmaster AR-15 used by shooter Adam Lanza. If their case goes to trial, it would be a landmark challenge to the 2005 legislation that shields the gun industry from civil liability. “The fight over gun control is often cast politically as a conflict between government and the interests of private citizens and companies. “She hates us, and she’s coming for every bit of our freedom,” National Rifle Association chief Wayne LaPierre told the Conservative Political Action Conference in March about Hillary Clinton’s gun control position. Larry Rifkin interviews Pamela Haag. The legend of Sarah Winchester, the troubled heiress to the Winchester Repeating Arms Company of New Haven, intrigued Pamela Haag. She learned of this mysterious tale while earning her doctorate in history from Yale in 1995. Historian Pamela Haag says there’s a mythology around American gun culture. The conventional wisdom is that since the Revolutionary War we’ve had some primal bond with our firearms. But Haag argues that our guns were once just another tool of everyday life, and that the gun industry convinced us we needed to be armed. In a new book, she follows the rise of the Winchester Repeating Arms Company and the marketing campaign she says created our gun culture. Haag joins us Friday to tell the story.